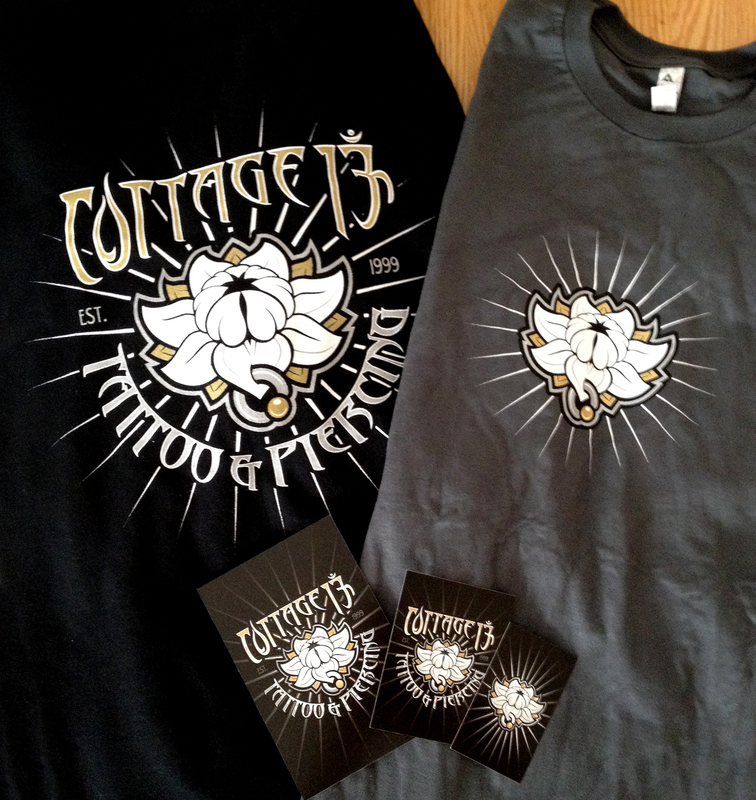 We have had the pleasure of working with Inklight on 2 occasions. 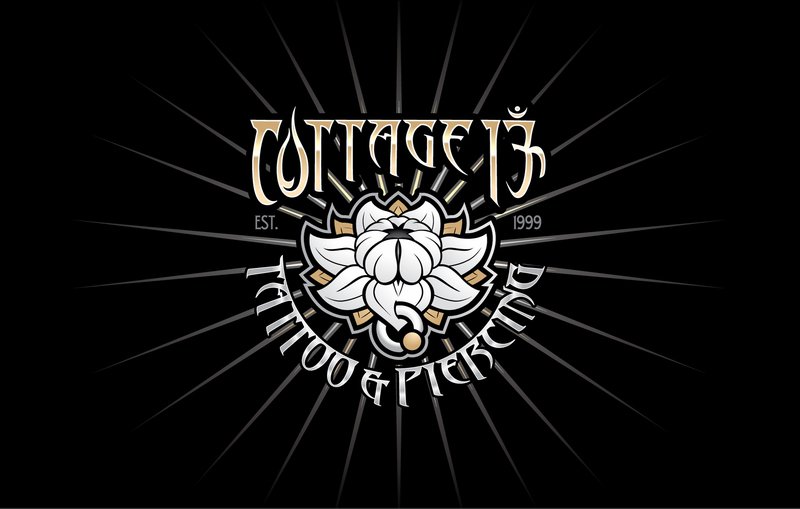 In 1999 upon establishing our Hamilton tattoo shop, Cottage 13, we approached Inklight to amp up our logo and lettering. 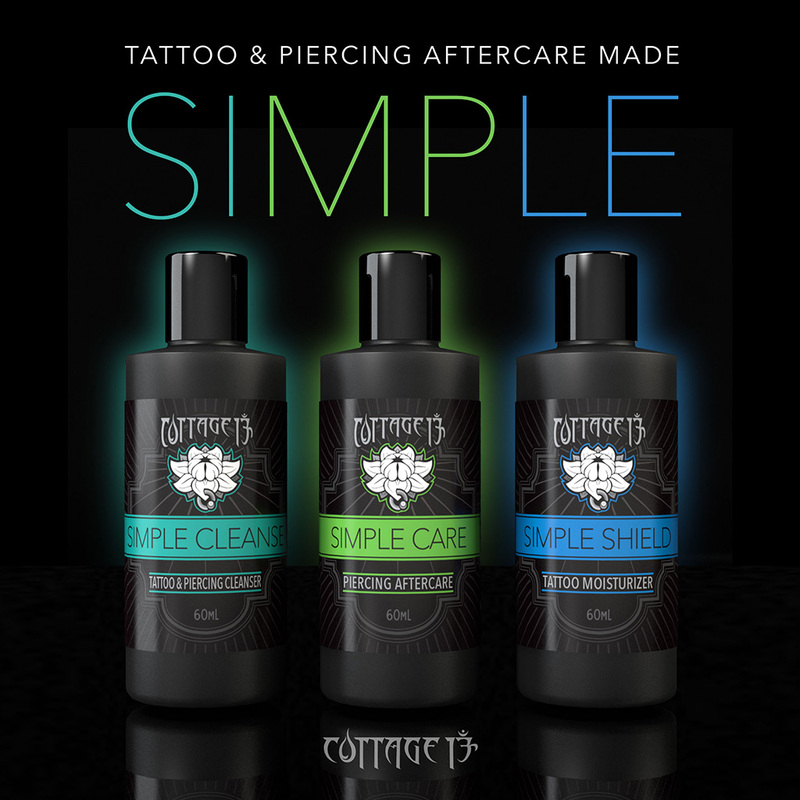 Our talented tattooer Jen Stewart designed our unique and impactful logo that was taken to another dimension by Inklight through digital manipulation and colour application turning it into a piece of art in and of itself. The subsequent logo has been used for the past 18 years as an effective brand for our business. Business cards, stickers, t shirts on-line marketing, print advertising….this branding has been successfully applied to all. 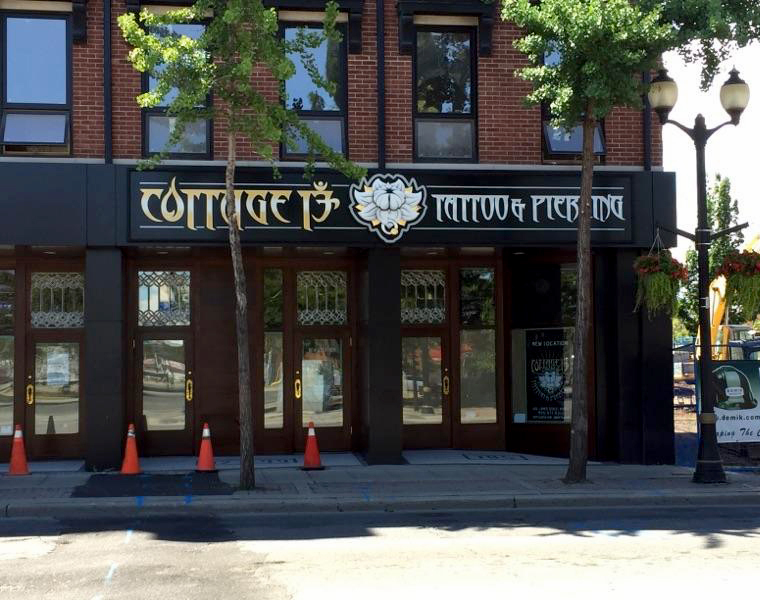 Now in 2016 we are gearing up to move our shop to a new location on James St. North in Hamilton. We once again approached Inklight to re-work our logo. Maintaining the same lotus design that has come to represent our business, it has been updated with a new colour scheme and classy, streamlined background effects. We were provided with multiple versions of the new brand concept that we could compare. This allowed for an effortless decision making process. 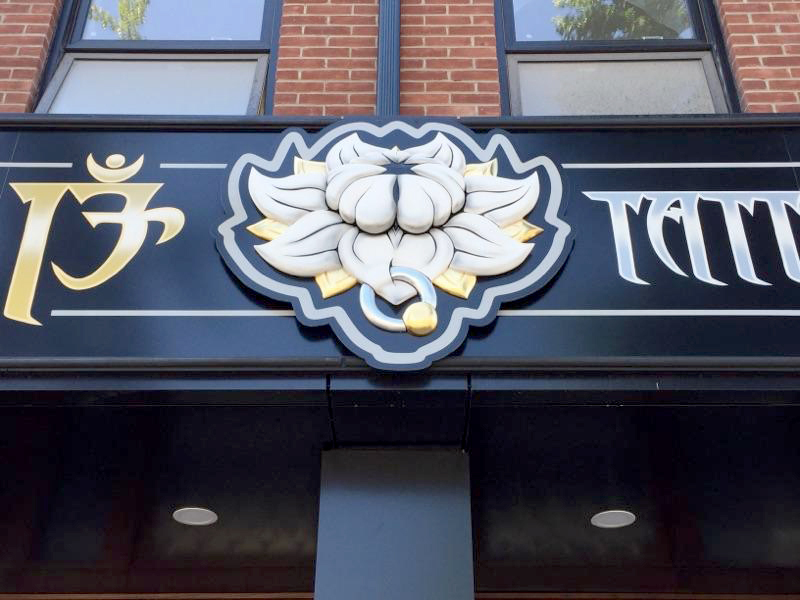 Inklight redesigned the lettering for our new sign keeping within the same concept of our original font but elevating it to a much more dynamic and effective brand. We were also furnished with a beautiful mock-up of the sign concept with the updated font/lettering. Upon presenting this to the sign maker, we were told it was perfect from a design perspective and required no modifications whatsoever. 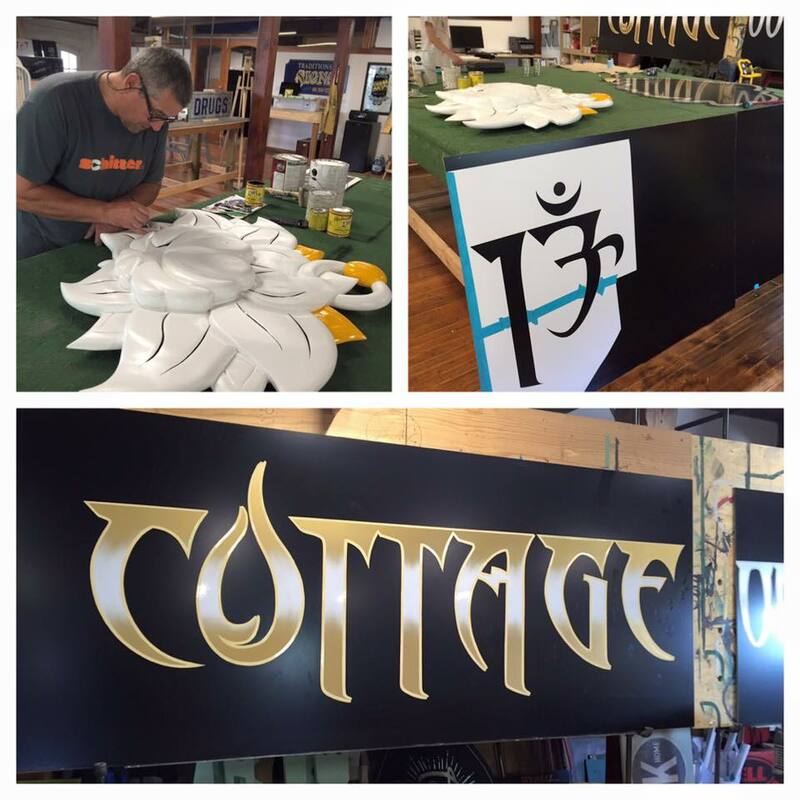 He happily took on the job and will be able to produce our sign quickly because the design work is done.